If you’re searching for a quick solution to get your house sold fast… then read how some “cash buyers” have hidden contingencies they don’t tell you about. But if you’re searching for that type of solution… that option that can get you out of your stressful situation fast. Then you need a reliable cash buyer who’s really going to purchase your Lowell house in 5 days… not just say they are. Because there’s so many “I buy houses Lowell” people out there… you should know what their “cash” offer really is and how it compares to us at Ocean City Development. Why is this better than using an agent? Not every person can benefit from us (or any other home buyer). And that’s because we can’t buy homes at top dollar. … then, by all means, we recommend using an agent. But if you’re in a situation (like foreclosure, divorce, inherited house, tenants, bankruptcy, medical situation, financial distress, etc) and can’t put up with all the costs and hassles of listing your house… and you just need to sell your home fast in Lowell, Massachusetts. … then you need a solution that guarantees that your house is sold in a week and you can celebrate with cash in your hand (stress-free) at the Cobblestones of Lowell! But what about all the other “cash buyers”? Don’t be tricked with just any “cash offer”. Since we’re the top cash buyer in Massachusetts, most of these contracts get sold to us anyway… so we end up purchasing most of those homes. .. we’re reaching out to homeowner’s directly and buying their house with REAL cash. Cutting out the middle man and the dishonesty that’s going around. … then contact us today at (781) 209-6025 for your fair cash offer… no-obligation and risk-free! Sell Your Lowell Property Risk-Free and Hassle-Free! The top “I buy houses quickly” in Lowell is cutting out the middle man! We help property owners just like you, in all kinds of situations. From divorce, foreclosure, the death of a family member, burdensome rental property, and all kinds of other situations. We buy houses in Massachusetts… including Lowell and surrounding areas and pay a fair cash price, fast. Sometimes, those who own property simply have lives that are too busy to take the time to do all of the things that typically need to be done to prepare a house to sell on the market… if that describes you, just let us know about the property you’d like to be rid of and sell your house fast for cash. 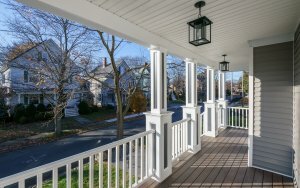 Why Won’t My House Sell In Lowell? I Inherited a House, What To Do? – Should I rent or sell in Lowell? Help, I’m behind in my mortgage payments in Lowell!